Quick Shopfronts is so happy to deliver the aluminium shopfronts for a Pet Shop located at Newham, Greater London. The whole installation process was so enjoyable with pets over there that it felt like home. So this whole journey started when the owner of the pet shop got an idea to showcase the prettiest puppies and kittens to the people walking by near to the pet shop. The way he could think of is “glass”, but he didn’t have any idea what are the options available in the market that can represent the pets. Our prevalence in the market saved the time of the owner and soon our crew team has reached the destination. After listening to the ideas, forthwith the engineers shook hands on agreeing upon aluminium shop fronts with him. This decision turns out to be the game changer, as the customers start to increase every day. 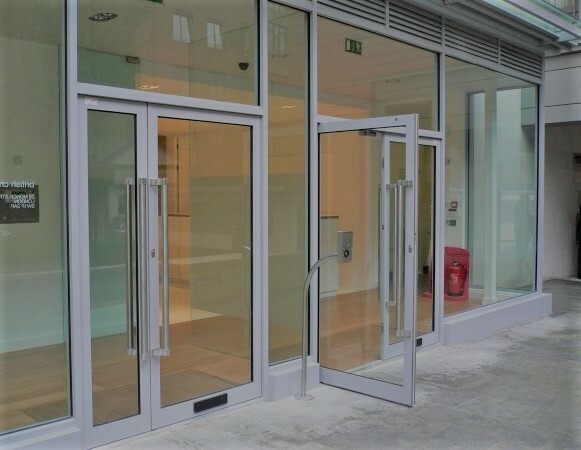 In addition to the shopfront, the engineers decided to add convenience to another level with the provision of aluminium shop front doors. It enhances the ease and reduces the effort to a great extent. Our Work | What Priorities Do We Follow? We are who we are today because of our nonstop diligence in every service we provide that ensures less struggle for our future customers in finding the right shop front service provider in the market. Our Work: We are the shop front manufacturers alongside with shop front installers, our decades of experience in solving the aspects such as appearance, security, maintenance and more, has created satisfaction, trust and believe on our customers. Priorities that we follow are strict in nature. For instance, in shopfront services we do not compromise with the products that we use, we never misguide any single person, we set daily goals, deliver the work on time, ultimately it makes the customer happy and our reputation maintained.